Most are named "ï¼¼ï¼¼ã€Žï¼­ï¼¸ï¼¤ï¼—ã€‚ï¼£ï¼¯ï¼­ã€ï¼¼ï¼¼[some non latin characters that can vary]"
In fact, there are 6 accounts for now . Maybe Ashley will interpose. It's all cleaned up now, it only took a moment since we have good forum tools to remove spam. Unfortunately the nature of running a forum is that some people will try to exploit it for promotion. Ashley well that was fast, thanks a lot! Spam is a pain when you want to see new posts. 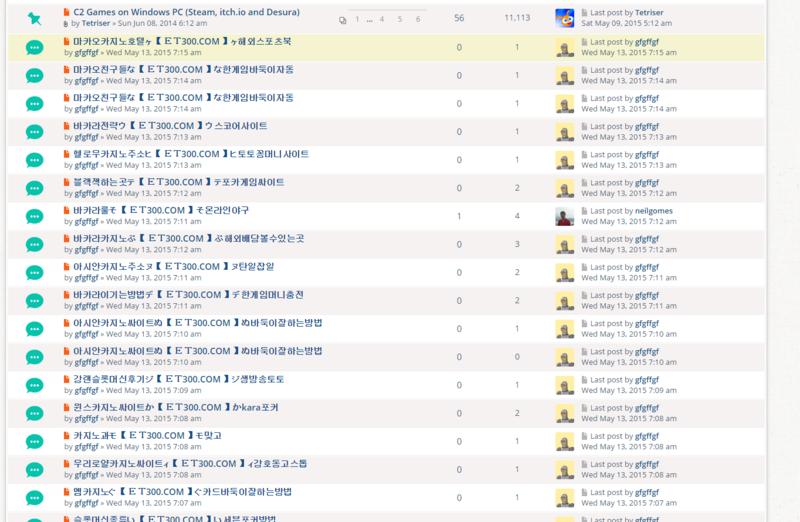 This is definitely the worst spam I've seen; the forum is swamped. Sounds like a good idea. Somehow hackers always find a way though. its bots! not hackers! and forum is filled again! Over 20 pages of spam and counting. Honestly this is not normal, even for bots. I wonder if someone has a bone to pick or just is doing this for sh!ts and giggles. Moderators please block the users spamming the forums. Please act quickly and remove those posts in unknown language. When the mods come online they will delete it. This is a new attack, same as yesterday. Either a bot, or cheap human labor. It will pass. Yeah this happened yesterday also.